I really like the pace with which the SXC 9 is released following just couple of weeks after regular platform updates for Sitecore 9 (SC 9). 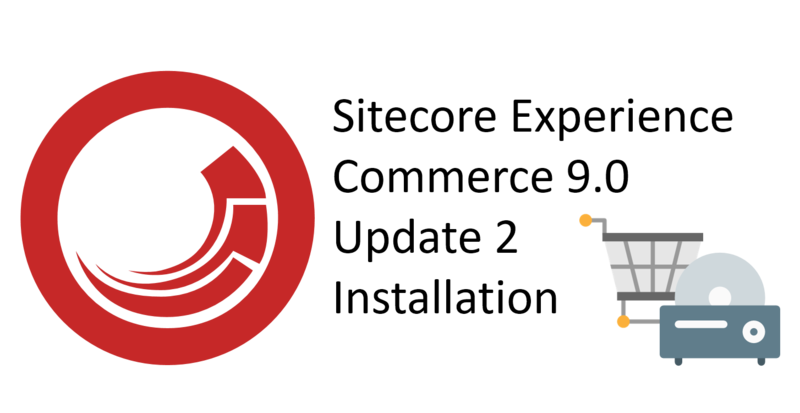 SXC 9 prerequisites are always latest update of Sitecore and latest SXA which is really great and cool. With this approach you can have your Commerce solutions up to date with latest Sitecore and Sitecore modules. 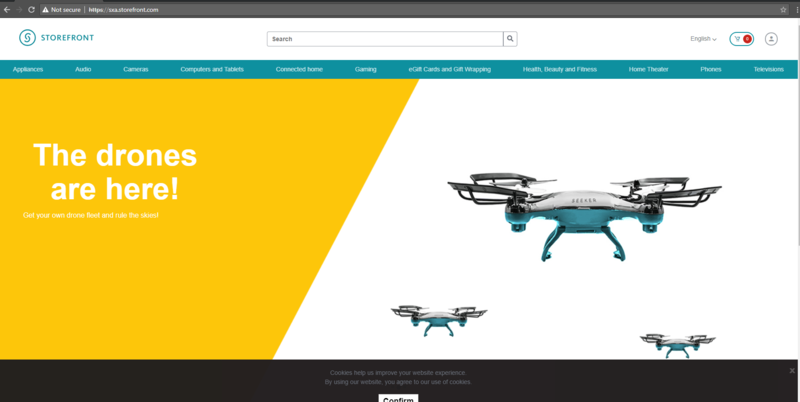 I was very excited when Sitecore Experience Commerce 9 was released in February this year and I have immediately created a VM and played with it. I have afterwards upgraded this VM with SXC 9 Update 1 and prepared for Sitecore Commerce Essentials Certification which I have successfully passed. I was eagerly waiting this Update 2 and seems that almost all features that were missed by community for Initial release and Update 1 are available finally. Versioning, Workflows, Enhancing entities with Entity Composer, and many more new / enhanced features have been introduced in this Update 2. No need to stop xConnect site during installation. Enough written. Let’s get to more interesting stuff – Do the installation! You need a Braintree sandbox account to enable web payment functionality through the Commerce Engine. Follow the instructions on the Braintree website to set up an sandbox account, and note the MerchantID, Public Key and Private Key information. 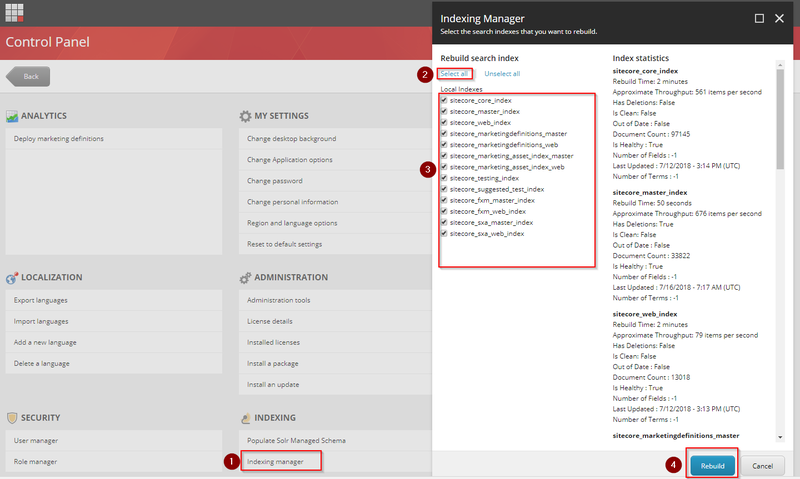 You need to specify the values for those parameters in your Sitecore XC deployment script in step 6. 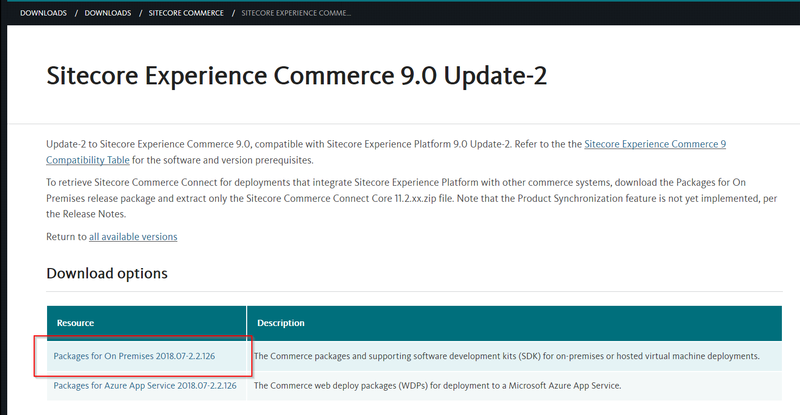 – To run Sitecore Experience Commerce 9 (SXC9) you need to have instance of Sitecore 9.0.2 (Sitecore 9 Update 2) up and running. If you haven’t done that so far, follow my blog post to help you out. For Commerce 9 installation purposes, please create Sitecore instance with prefix “sc9u2” or choose your own name /prefix. If you choose your own name or you already have one instance up and running, change configuration and names below according to your setup. 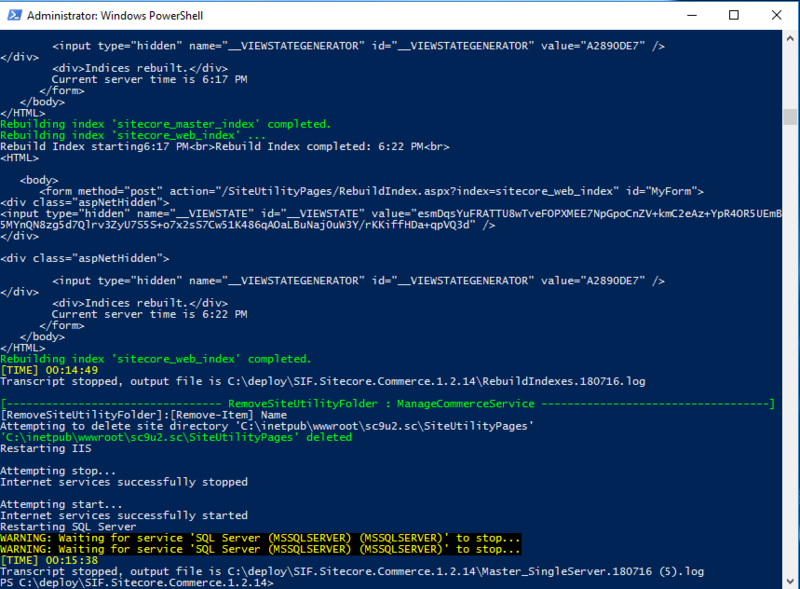 – Download Sitecore Powershell Extensions 4.7.2 from Sitecore Marketplace. Do not install package at this point! 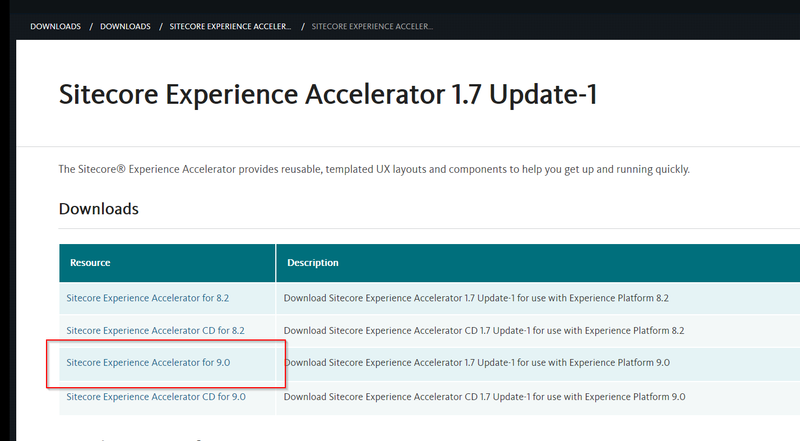 – Download Sitecore Experience Accelerator 1.7.1 from its download site or from this direct link. Do not install package now! 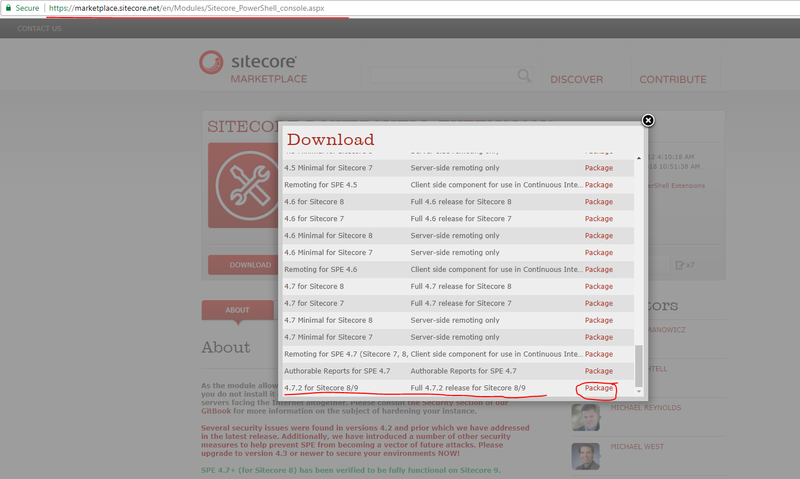 – Download the Sitecore XC Update 2 release package and prerequisites from it’s download site or from this direct link. The extraction process resulted in multiple .zip files in folder “C:\deploy”. Remove “Sitecore.Commerce.2018.07-2.2.126.zip” file from folder “C:\deploy” as it is no longer needed. – Unzip “C:\deploy\Sitecore.Commerce.Engine.2.2.126.zip” into “C:\deploy\Sitecore.Commerce.Engine.2.2.126” folder and open “C:\deploy\Sitecore.Commerce.Engine.2.2.126\wwwroot\bootstrap\Global.json” file. 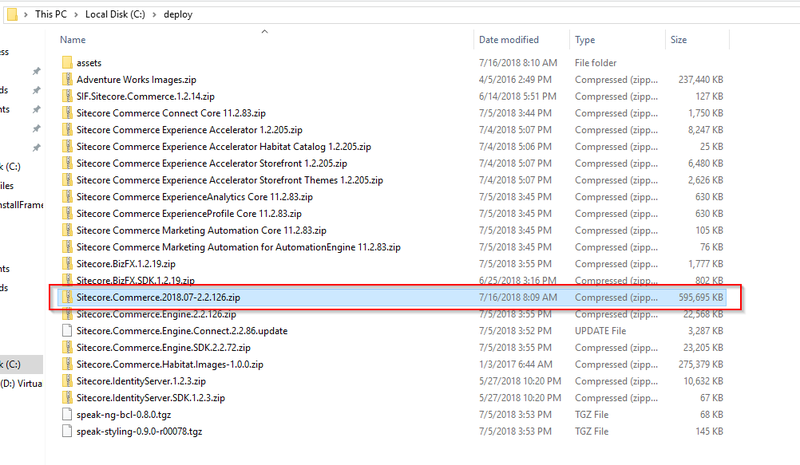 Zip the folder “C:\deploy\Sitecore.Commerce.Engine.2.2.126” as “C:\deploy\Sitecore.Commerce.Engine.2.2.126.zip” file overwriting the existing file “C:\deploy\Sitecore.Commerce.Engine.2.2.126.zip”. 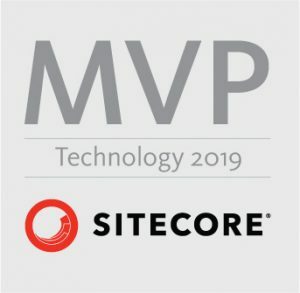 Before proceeding with installation of SXC 9 Update 2, you need to verify your Sitecore instance where you intend to deploy it. If all operations where successful, you can proceed to next step. 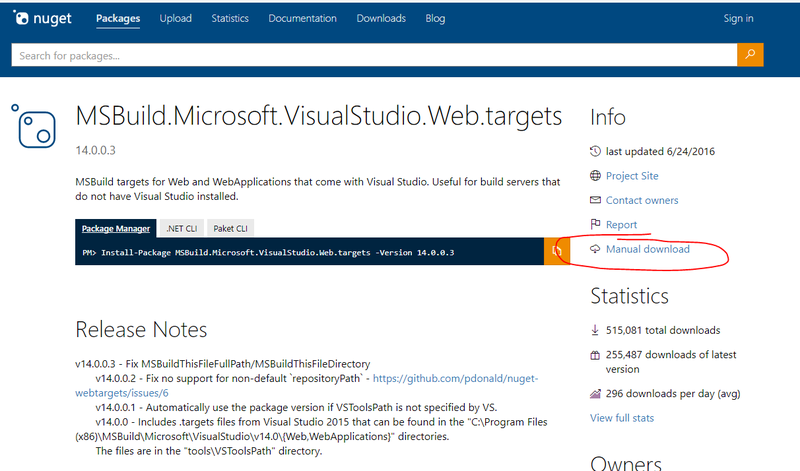 Use my deployment script which is customized to names and paths used in this blog post. If you followed me or just want to really quickly get valid deployment script, grab Powershell script from here. Download and copy it into c:/deploy/SIF.Sitecore.Commerce.1.2.14 folder or folder where you have extracted SIF zip file in previous steps. Take a coffee (or tea as in my case) or two as it will take some minutes to finish. “The service cannot accept control messages at this time”. I have quickly resolved it by starting my stopped Sitecore site from IIS Manager. Maybe you need to also start application pool. After that I have run the script once again. -> See more details here. “Request timed out” on PublishExtensions Task -> See resolution here. Seems that these are known issues (See section “known issues”) from this great blog post by Viet Hoang. But the second one I had to resolve by myself. Follow chapter 4 from Installation guide (link can be found at the end of this article) to finish all post-installation steps. 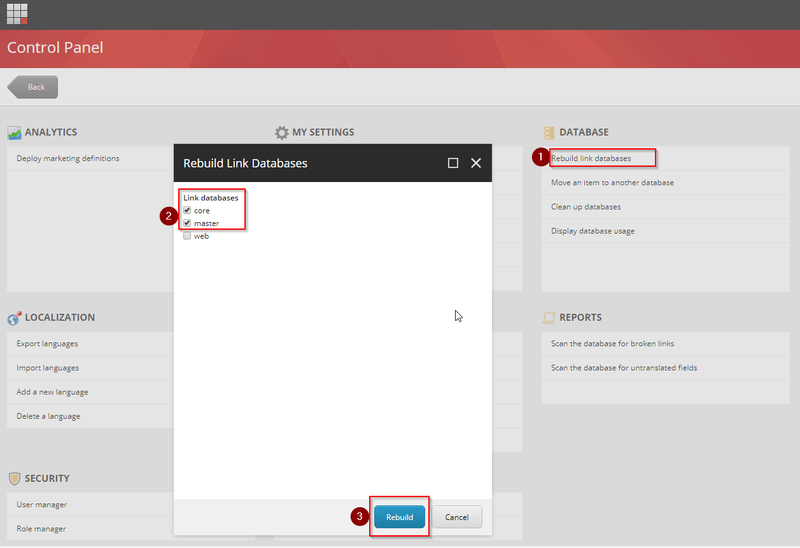 Follow documentation to set roles for appropriate users to access Business Tools. By default “admin/b” is created with all roles. Note that every Sitecore XC user who requires access to the Business Tools must have the Commerce Business User role assigned, at a minimum. For full list of roles that are in the Commerce 9 Update 2 refer to this great blog post about roles by Rob Earlam. Installation guide seems to be a bit out dated regarding roles at the time of writing this blog post. Storefront Mock-up theme. 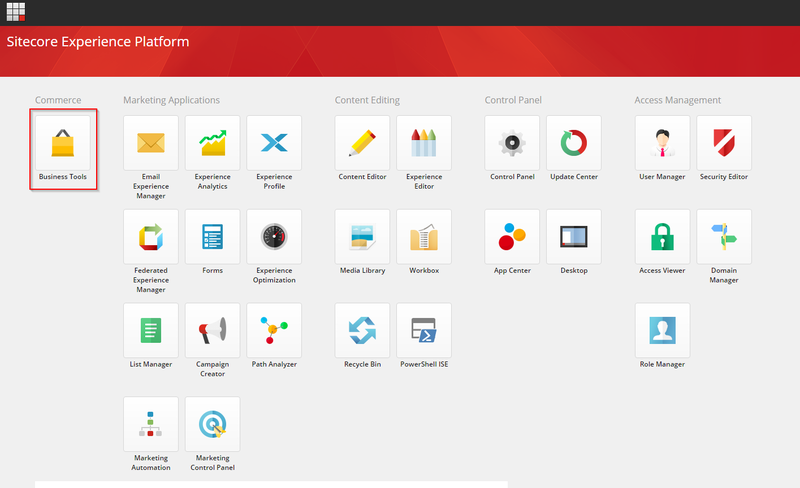 You can change it to much nicer one by following my blog post – Changing theme for Sitecore Experience Commerce (SXC) 9. Launch Sitecore by navigating to http://sc9u2.sc/sitecore/ or your custom url where you have installed Sitecore instance. You can change theme to make it more colorful. See my post here on how to do it. Great post! 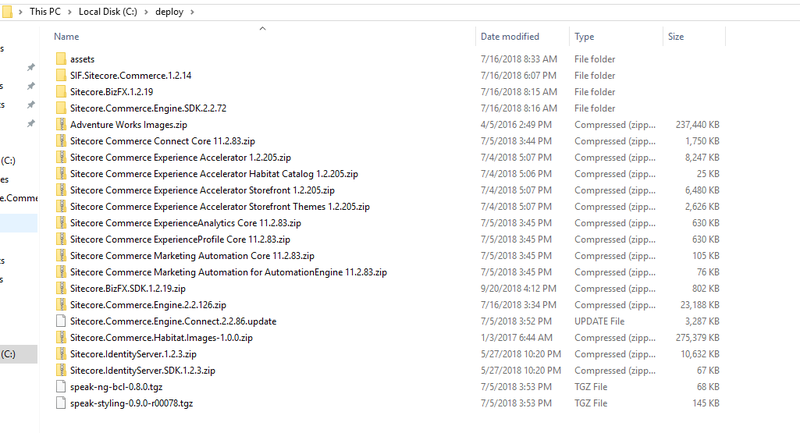 Helped me a lot more than Sitecore’s own installation guide. You have a broken link to your PowerShell script and the Server-variable in the SourceStoreSqlPolicy-section seems to be missing a value. Thanks Esben. That’s the exact reason why I have made this post, to help others 🙂 Also thanks for reporting small issues. I have done some reorganization in my github repository and forgotten to change link here. Also Server variable is now correct. 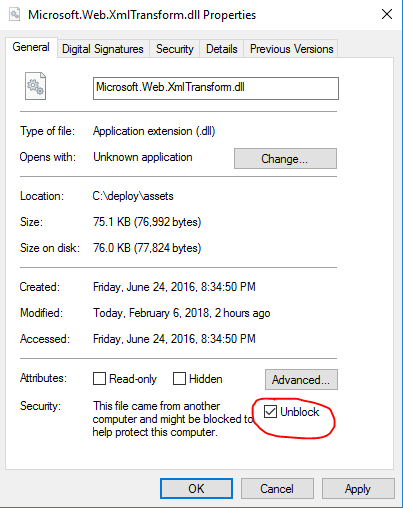 The screen shot for confirming the deploy folder is wrong. 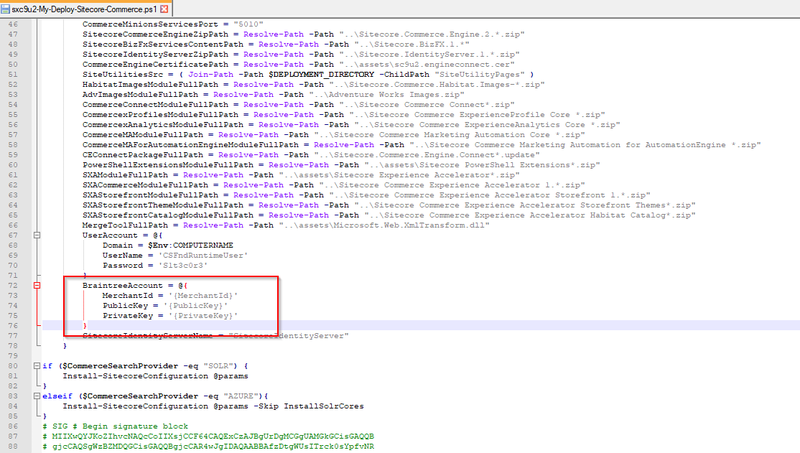 In step 2 you said, “Remove “SIF.Sitecore.Commerce.1.2.14.zip”, “Sitecore.BizFX.1.2.19.zip” and “Sitecore.Commerce.Engine.SDK.2.2.72.zip” zip files from folder “C:\deploy” as they are no longer needed and they would break installation as ps1 script would find folder and also zip files with same name as use that as array not string…” however the screen shot shows these zip files still in the deploy folder. Thanks David. Good catch. Fixed! Peter it didn’t work. 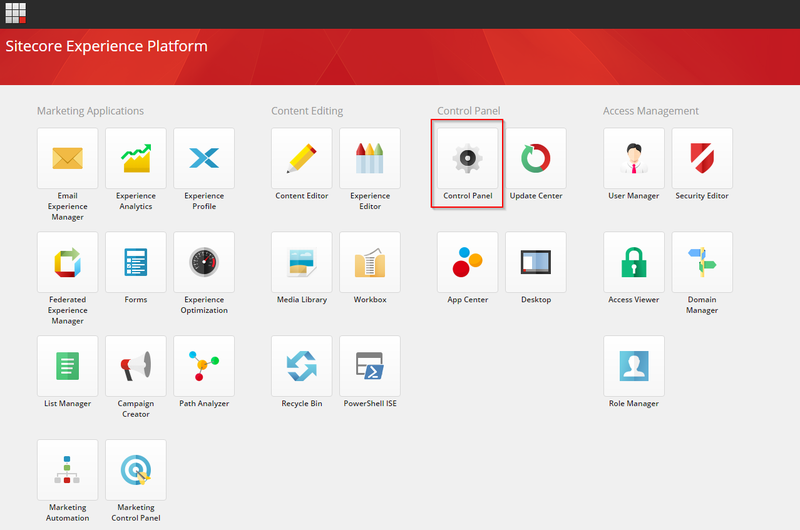 Still shows the sitecore default page. I do see that when using https, it warns about certificate error. I was able to install XC 9.0.2 successfully. I am able to get to localhost:4200 and logn. However https://sxa.storefront.com site won’t display in the site above. 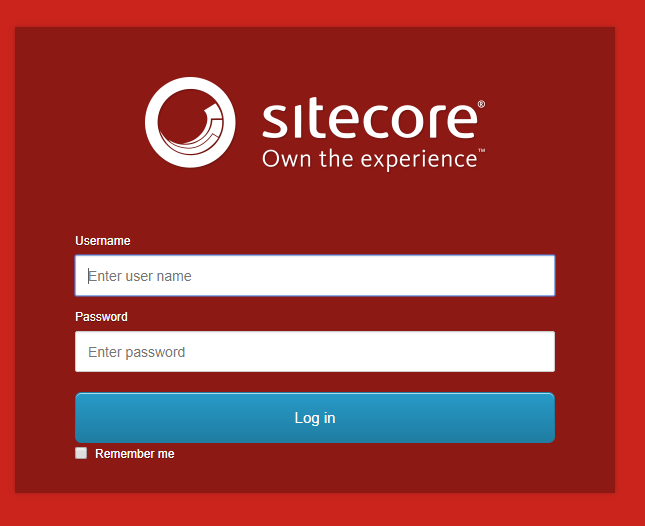 It shows the sitecore default site. What can be wrong?